Look Forward to Bedtime. Wake Up Feeling Like a Million Dollars. Nectar’s premium memory-foam mattress will give you the most comfortable and rejuvenating sleep of your life (or your money back). Sleep is almost magical. Science is showing us just how important sleep is to our mental and physical health. With better sleep you’re smarter, more productive, less stressed, healthier and happier. One reason is we’re sleeping on bad mattresses. Mattresses that don’t properly support our bodies, so we wake up with aches and pains. Mattresses that make us overheat, so we toss and turn during the night. Mattresses that are too bouncy, so when one person moves, the other is disturbed. The result is you wake up tired and lacking the energy you need. When you should be feeling at your best. You sleep for about a third of your life (that’s 27 years on average). So the mattress you sleep on matters. 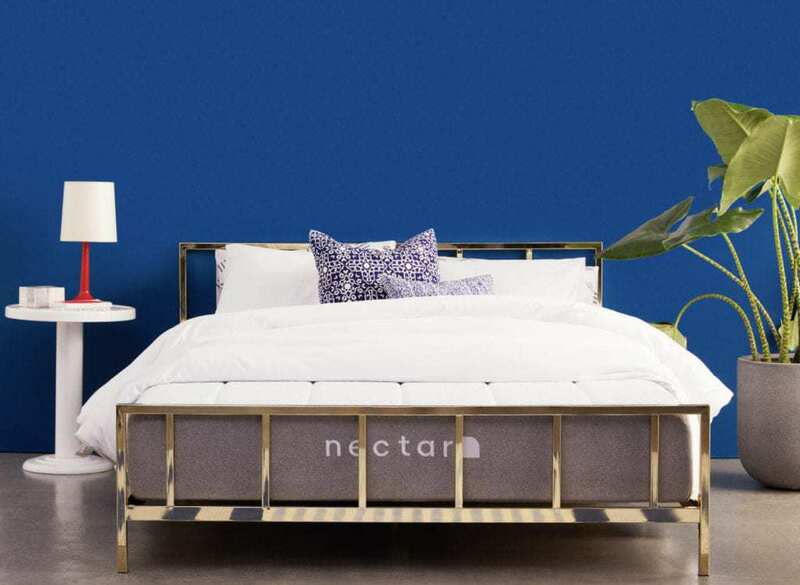 Nectar is a premium memory foam mattress designed to give you a great night’s sleep. We’ve combined advances in mattress and fabric technology to create the perfect balance of firm support and luxurious softness. The result is the most comfortable mattress you’ve ever slept on. “After researching mattresses to the level of insanity for over a year, we decided on the Nectar. We looked at every mattress out there. The Nectar had what we wanted at a great price. The warranty and test period cinched the deal for us. Whether you’re a back, side or front sleeper (or a bit of everything), two layers of gel memory foam contour to your body, supporting you in all the right places. And with multiple layers of premium foam below that, your weight is distributed evenly for a deep and satisfying night’s sleep. Unlike other mattresses, we use a denser foam, which minimizes motion transfer. That means when one person turns over in their sleep, it doesn’t wake the other person up. So you can both sleep soundly together (even if one person likes to dance in their dreams). For ideal sleep, your body needs to be cool. Nectar’s gel memory foam layers promote airflow, helping to move heat away from your body. And the Tencel cover is softer, more breathable and better at absorbing moisture than any premium cotton, ensuring you sleep cool every night. Built from superior materials, your Nectar will last decades, reducing the number of mattresses thrown away each year. Made with Certipur-US® certified foam, your mattress is free from ozone depleters, PBDEs, TDCPP, mercury or lead. So while you’re safely getting a good night’s sleep, you’re also helping to give the planet a rest, too. Instead of broken sleep, you’ll sleep soundly all night. Instead of waking up with aches and pains, you’ll feel rejuvenated. And instead of always feeling tired, you’ll wake up with the energy to take on the day ahead. Get rid of that saggy, unsupportive old-timer and treat your mind and body to a Nectar. Then you need to experience what it’s like when a mattress perfectly contours to your unique body shape. Now is a great time to upgrade to a superior mattress that helps you get the vital sleep your body needs. Nectar can help you get a deeper, more nourishing sleep. By investing in better sleep, you’re investing in a better day. 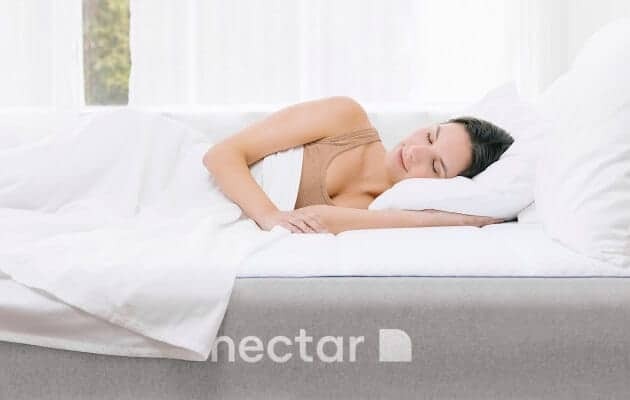 With a Nectar mattress, you can both sleep peacefully next to each other (no sharp elbows required). Treat your spouse to luxurious comfort and the best sleep of their life. Sleep, snore and snuggle on your Nectar mattress for a whole year. If you’re not completely happy – for any reason – you can return it for a full refund. And we’ll pick it up for free, so you’re never out of pocket. Because what’s a better test: lying on a mattress in a showroom for 5 minutes? Or actually sleeping on your mattress in your home, for a whole year? 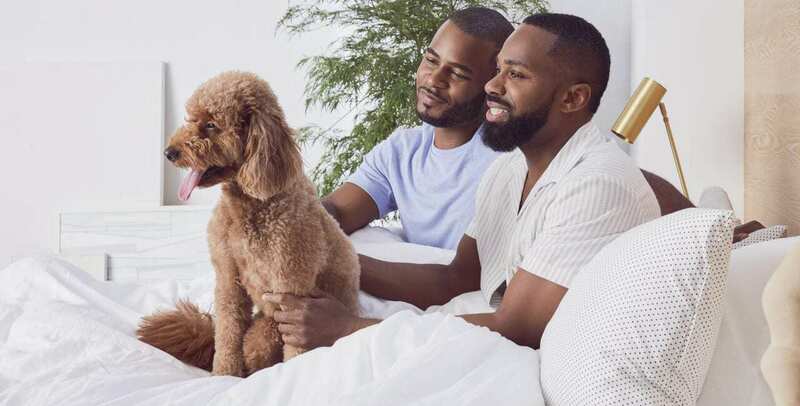 If you love your mattress (more than 97% of people who buy a Nectar mattress keep it), we’ve got you covered with the industry’s best warranty. Your Nectar mattress comes with a forever warranty. 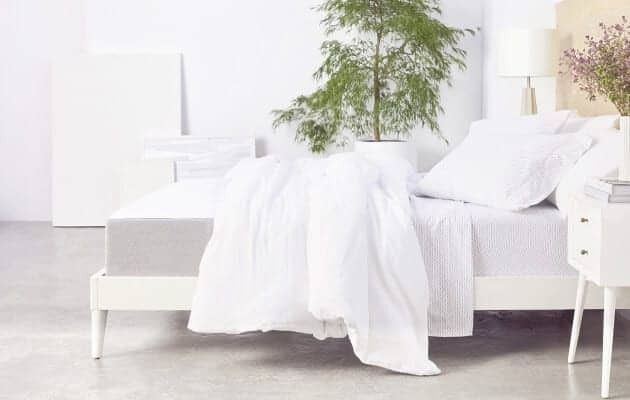 As long as you own this mattress, we will rectify any defective workmanship or materials. For the first 10 years, you’ll get a replacement mattress. After 10 years, we’ll repair, re-cover, or replace your Nectar if a defect emerges. For as long as you live. And we always cover shipping. How do we offer such a generous warranty? Because we don’t cut corners. While most mattress companies put profits before product quality, Nectar mattresses are built to last. A Nectar mattress offers the best value for money in the market. We use superior materials and manufacturing standards for a premium product. No one matches our 365-night home trial and forever warranty. And yet our price is better than most of our direct competitors.